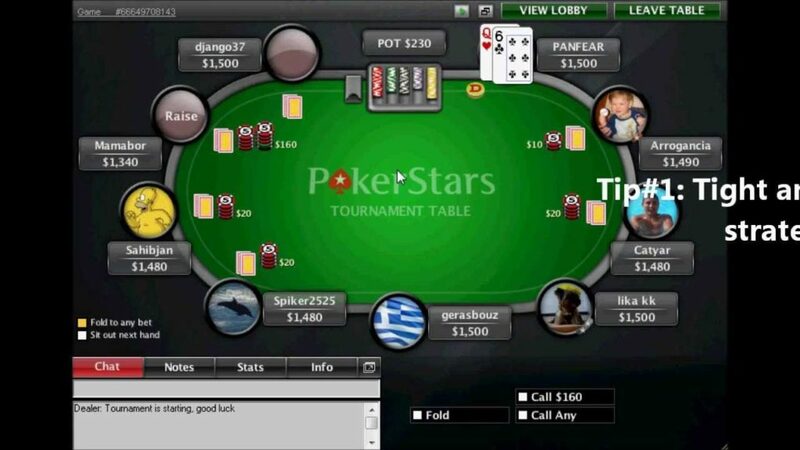 Can Online Poker Tournaments Rival Face-To-Face Ones In Popularity? If you and the friends in your friendship group enjoy relaxing whilst trying to win some money, the chances are that you’ll have enjoyed your fair share of playing poker together. Perhaps you’ll have ended up, on occasion, as the ‘lucky one’ in the group, taking home all the winnings in the process, but there will probably also have been occasions where you’ll have crashed out early on in a blaze of glory, staking everything on a bluff that didn’t pay off. In that latter situation, you’ll have learned an important lesson: that poker is not just a great game to play, but a fascinating one to watch as well, even at amateur level. With this in mind, it is no surprise that there are some seriously big tournaments in the world of poker that draw huge viewer numbers, with the World Series of Poker pulling in an average of around 600,000 viewers for the main event. As well as this, the WPT 500 and the WPT Deepstacks all have loyal audiences; indeed, the watching of these tournaments has been referenced in pop culture, from TV shows like The Office: An American Workplace, to movies like 2007’s Lucky You. Lucky You was a movie that focused on a resolution between a father and son in an otherwise rocky relationship, but arguably the real winner comes in the form of the eventual winner of the poker tournament depicted in the movie, Jason Keyes. The movie might be set in the world of fiction, but the inclusion of Jason Keyes is a nod to Chris Moneymaker, who is arguably the greatest modern example of a true rags to riches poker fairytale. Back in 2003, when Moneymaker put $86 on an online wager to secure his place at the WSOP, there was no Twitch (perhaps the best embodiment we have of the fact that poker is so enjoyable to observe), no Spring Championship of Online Poker, and the online poker scene was certainly not as advanced as it is today. In 2018, though, which rules the roost when it comes to poker supremacy: online poker and the observing of live streamed action, or face-to-face in-person poker action? Well, if you are going to talk about Lucky You, clearly it is impossible to ignore the WSOP win of Chris Moneymaker. The WSOP is a huge event on the poker scene, with Scott Blumstein taking home $8,150,000 after winning the event in 2017. Blumstein had never even cashed out in the event before his win, but had made a name for himself in online poker. What this highlights is that while online events can create players with serious skill across variants like Texas Hold’em and Omaha Hi-Lo, more often than not, it is the big, live events that hold the prestige. Indeed, with 888poker UK now having a WSOP event taking place in London, interest in the tournament isn’t just from the USA but is truly global, making this a truly incredible tournament and one unlikely to be perceived as outdated any time soon, even as the internet continues to be the place of choice to play for many poker fans. It’s not all about the WSOP, though, and while the buy-in for the main WSOP tournament isn’t the kind of cash you want to fritter away all too readily, the WPT 500 gives players around the globe the chance to play against the big stars in a local location. This includes the WPT 500 Los Angeles (where those who want a more active lifestyle can get fit doing some hiking between tournaments!) or the 888poker WPT500 London. These events aren’t going to generate the life-changing sums of millions and millions of pounds for the winner that some other events might, but this is still a fantastic tournament for those who want to dip their toe into the world of poker. This is one event, though, where the line between physical play having an appeal over online poker gets really blurred; in order to qualify for many of these tournaments, you need to play online first and show you have the skills to get into the top 5% or so of players to get to play in the flesh. So, clearly, while we love the drama of watching the big tournaments on TV screens and seeing players have to look each other in the eye, the blurred crossover between real-life skill and online skills is evident. While a mid-level tournament might not be the dream win for some players, this sort of event does offer prestige; if you win, you will have a WPT title to your name and will be known as a top-level player. Live streaming of the events is now, however, becoming increasingly popular. That’s something that is likely to only be enhanced by the embracing of technology like Twitch that lets people make money off streaming their own poker games. In the short term, it is likely that the James Bond Casino Royale style of play, where players can try and psych each other out face to face is going to keep its appeal, but as online games become ever more immersive and more and more players feel connected to events as they believe they could one day take part in them, a serious shift could well occur. Indeed, as a greater number of players qualify for big tournaments through the online satellite events, there could be a culture change that appears from a lack of deference to top players. Caption: More Chris Moneymakers on the horizon? This could lead to the emergence of more Moneymakers to challenge the order of things, making it harder for established stars like Antonio Esfandiari, Sam Trickett, and Phil Ivey to continue to dominate the biggest events. If this happens, then we may well see online poker tournaments start to become more exciting and more popular than the big events, especially if the prize money continues to pour in to help the little guys who want to get their big break.